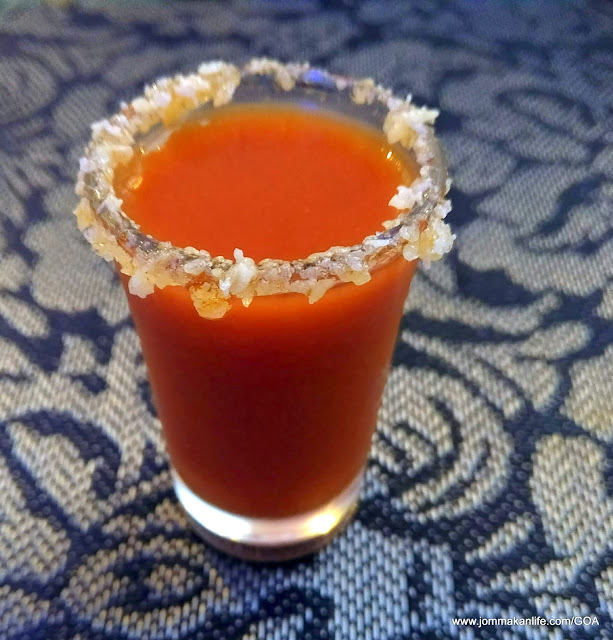 Like a sunburst when viewed from overhead, Souliquid's curtain-raiser of Chilli Chilli Bang Bang (RM18) dazzles our palate with its vivacious taste. 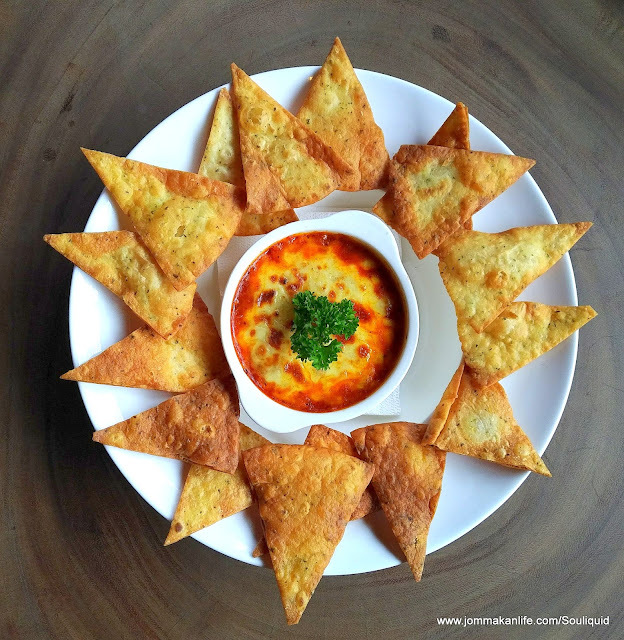 The triangles of deep-fried tortilla chips are handy vessels for piling on the zingy, well-spiced Bolognaise-style tomato and pork mince sauce. 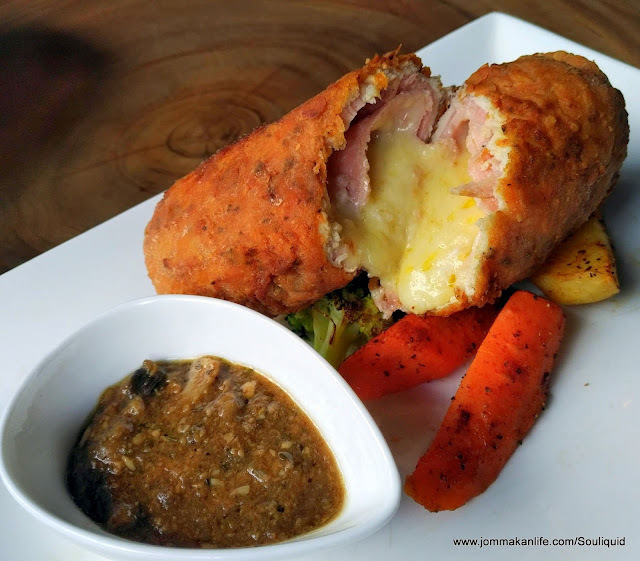 Baked under a layer of melty cheese, the tastebud-tickling serving leaves us wondering what other wondrous stuff lies in wait at Souliquid Restaurant & Bar. 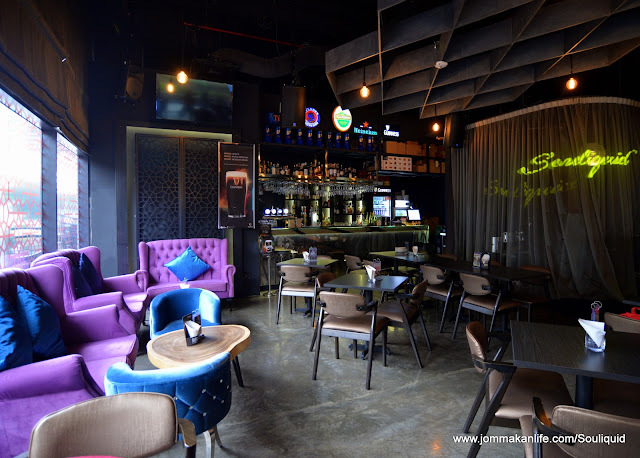 Opened in August 2016, Souliquid's cool, laidback vibes are evoked through comfy violet-hued couches, plush armchairs and coffee tables interspersed with high bar stools and timber-cut tables. 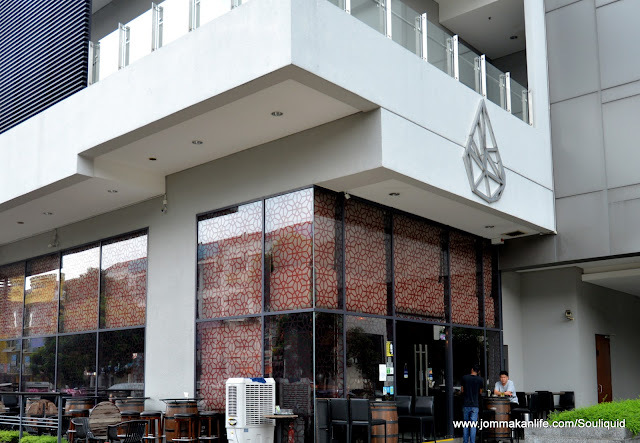 To capture the ‘every drink has its soul’ spirit of their outpost, the owners of Souliquid envisioned it as a serene mellow-lit haven to cherish and enjoy popular tipples: beer, wine, liquor and non-alcoholic beverages coupled with live performances of Canto and Mando-jazz, Bossa Nova and classic oldies in the evenings. 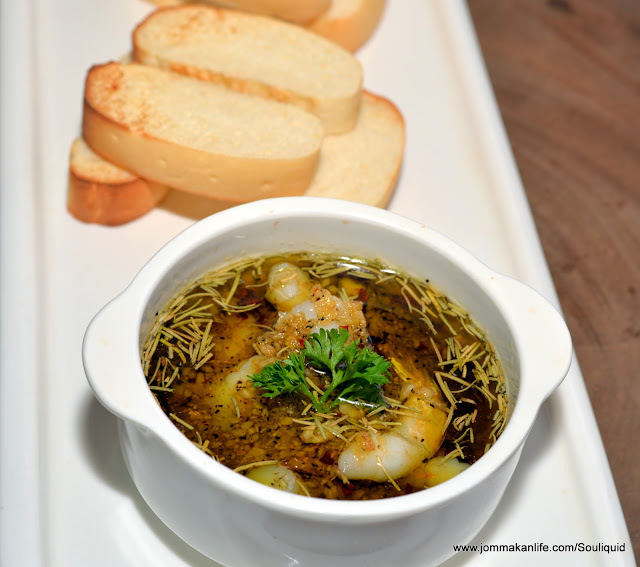 Hot on the heels of the opening volley comes Gambas Al Pilpil (RM28), a tapas of prawns in minced garlic and Italian herbs with bruschetta slices. 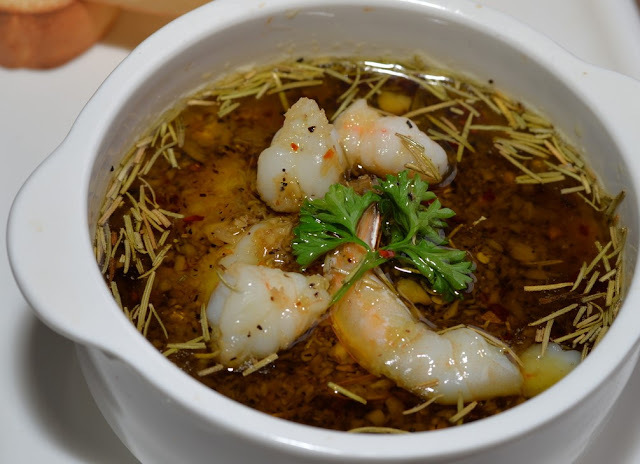 The coy nuances of garlic, extra virgin olive oil, dried herbs and chilli flakes allow the prawny sweetness to shine. 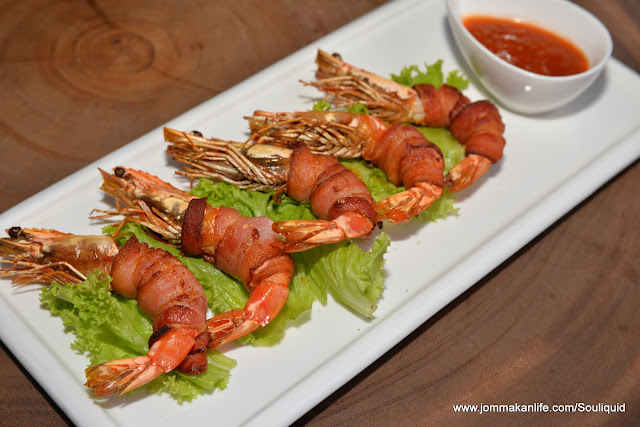 Brochette (RM38) is another winsome speciality. 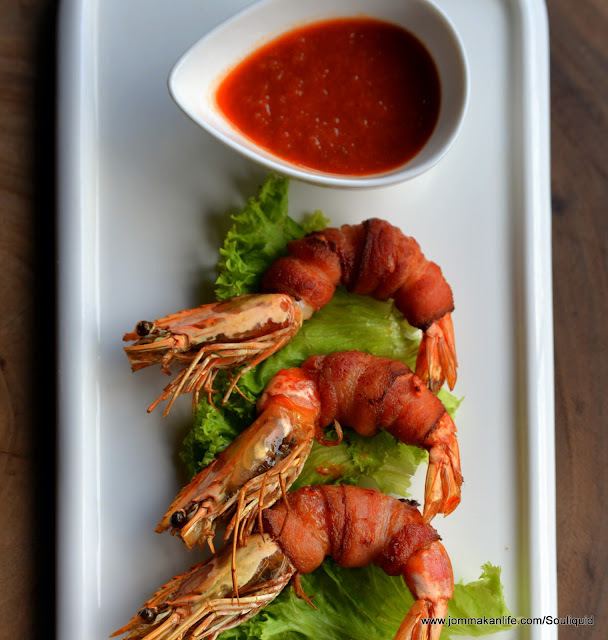 Served with robust tabasco-pineapple sauce, the crisp bacon-wrapped prawns go swimmingly with cold beer or chilled white wine. 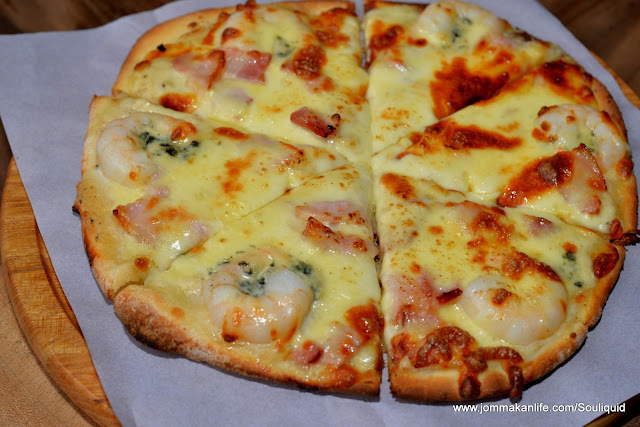 Chef Matthew Wan then raises the bar on pizza – a main gastropub staple – by melding blue cheese, parmesan and mozzarella to pack his distinctive Shrimp Pizza (RM35) with heady umami savouriness. 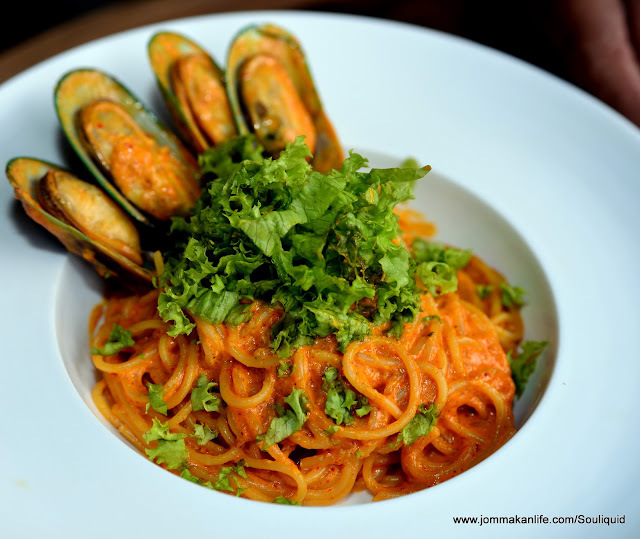 Yet, the subsequent Nyonya Pasta (RM28) manages to hold its own against such a strong onslaught on the palate. 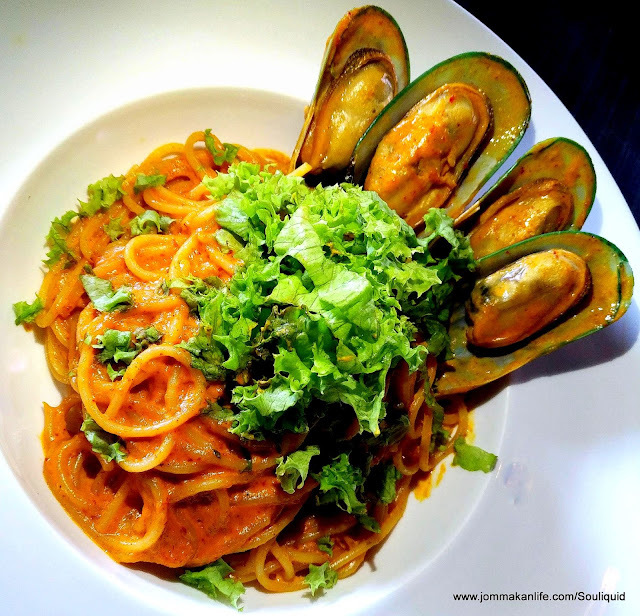 Lushly coated in creamy, assertively spice paste specially ordered from Melaka, the fragrance of lemongrass and kaffir lime leaf is noticeable as we slurp up the noodles garnished with tender mussels. 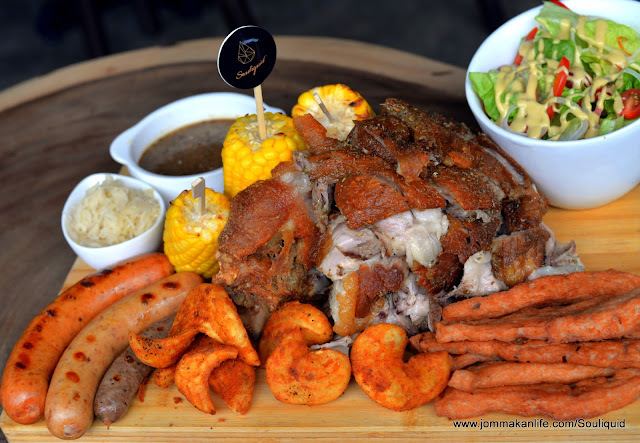 Porcine fans will be in seventh heaven as Souliquid takes great pride in its pork-laden selection especially the Pork Lover Platter (RM148). 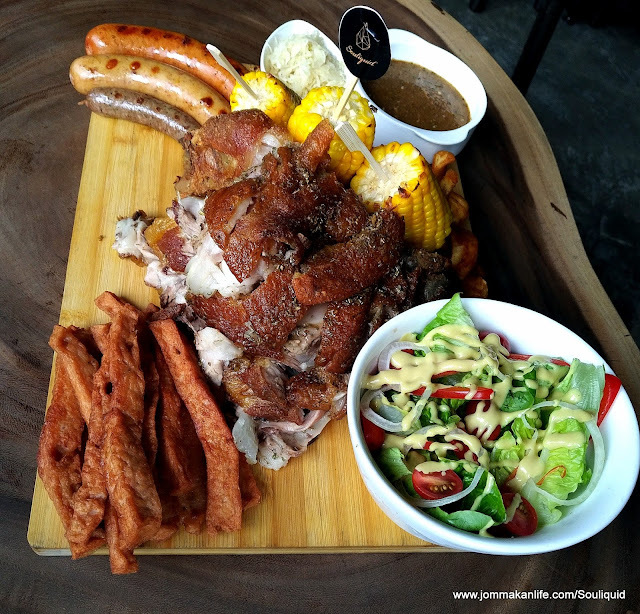 Conceived for communal sharing, nobody will leave feeling hungry after wading through the crispy pork knuckle, meatloaf, 3 types of sausages: baconwurst, Nuremberger and Hungarian, spindly wedges, sauerkraut, corn on the cob and a side salad. 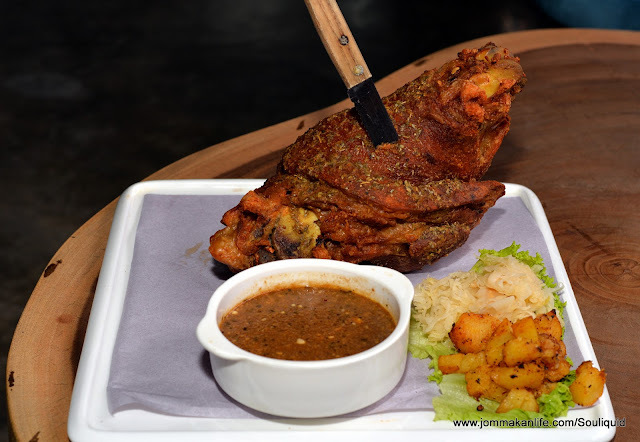 A saner go-to choice for small dining groups is the Garlic Herbed Roast Pork Knuckle (RM79). 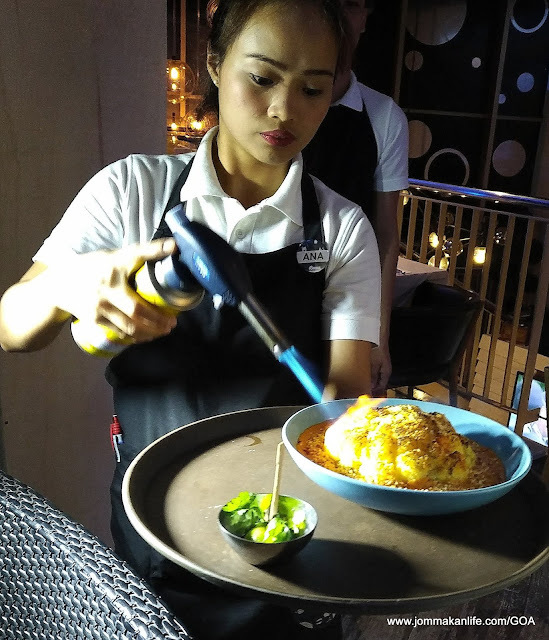 According to Chef Matthew, each pork knuckle (weighing about 1.7kg) is braised for 2 hours in stock before the hefty hunk is deep-fried to crisp up the skin and then baked to render the meat moist and juicy. 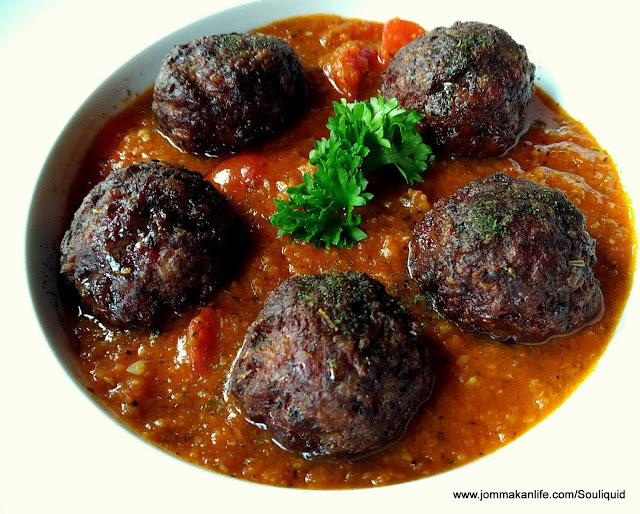 Those of you who prefer not to fiddle with bones will find Souiliquid Meat Balls (RM20) more appealing. 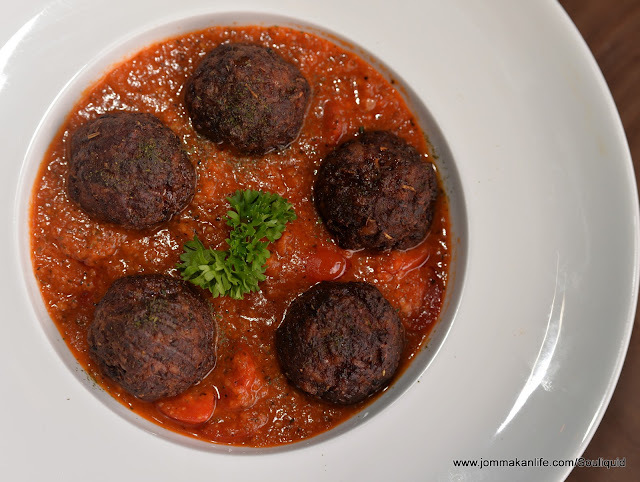 Slightly bigger than golf balls, the rosemary and mixed herb minced pork balls are delicious; set in tangy, aromatic chunky tomato-based sauce. 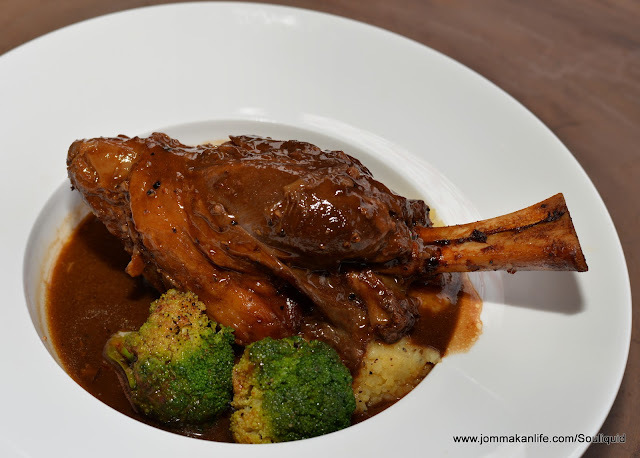 Stellar lamb dishes to try here include Guinness Braised Lamb Shank (RM48) and Grilled Lamb Rack (RM58). 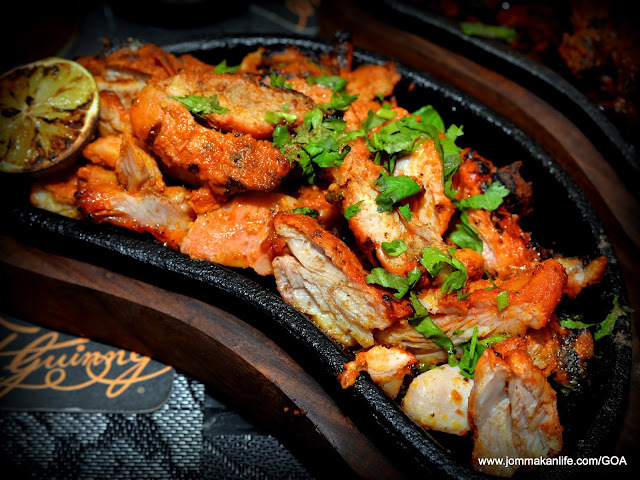 We recommend the former for the toothsomely tender lamb meat suffused with thick, dark and flavourful malty gravy. 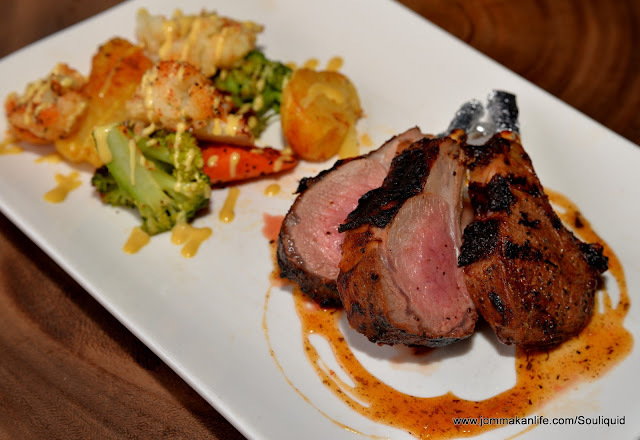 The latter is excellent as well with three pieces of the medium-cooked, French-cut lamb nicely seasoned and touched with a sublime sauce of honey, fruit purée and mustard. 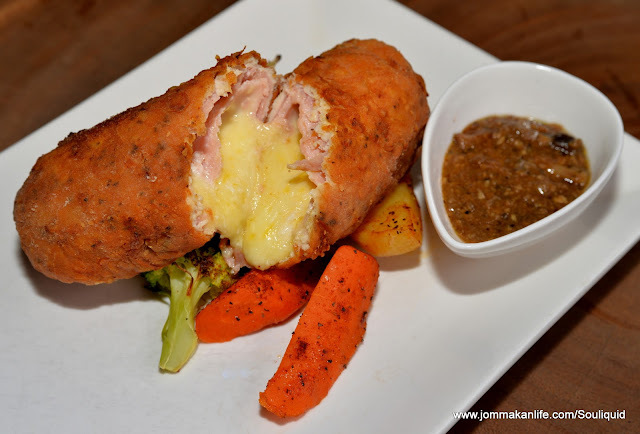 Lighter on the palate is Chicken Cordon Bleu (RM33), a surprisingly agreeable serving of chicken breast rolled with chicken ham and mozzarella enveloped in crisp battered crust. The accompanying garlic mushroom sauce proves worthwhile in lending moistness and notable flavour to the dish. Special promotions are available periodically so be sure to ask the team for more info. 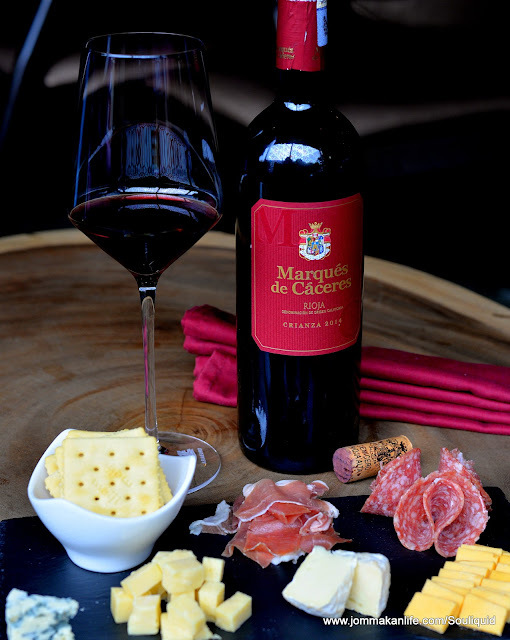 During our visit, the Cheese Platter Set (RM199) came paired with a young, supple Marqués de Càrceres -- a smooth, velvety Rioja to complement slices of pork salami or Parma ham, red and white cheddar, camembert and blue cheese atop crackers. 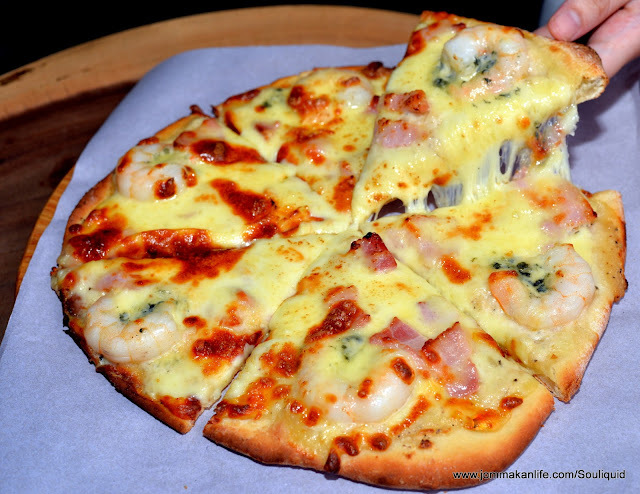 Souliquid also has Set Lunches on weekdays from 12 noon to 3 pm, starting from RM13.90 upwards. 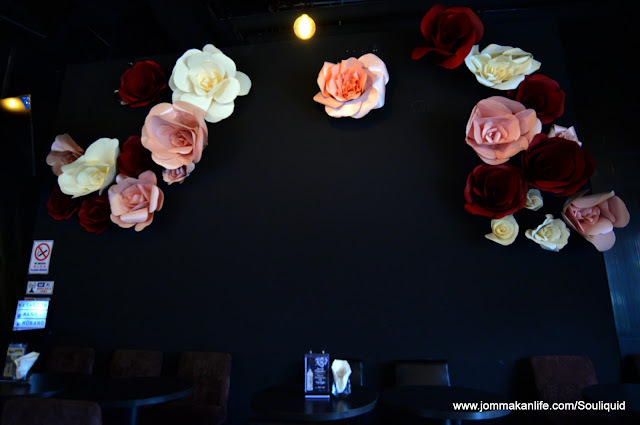 Jazz performances from Sun-Thurs 9pm-11.30pm; Fri & Sat 9.30pm-12midnight. 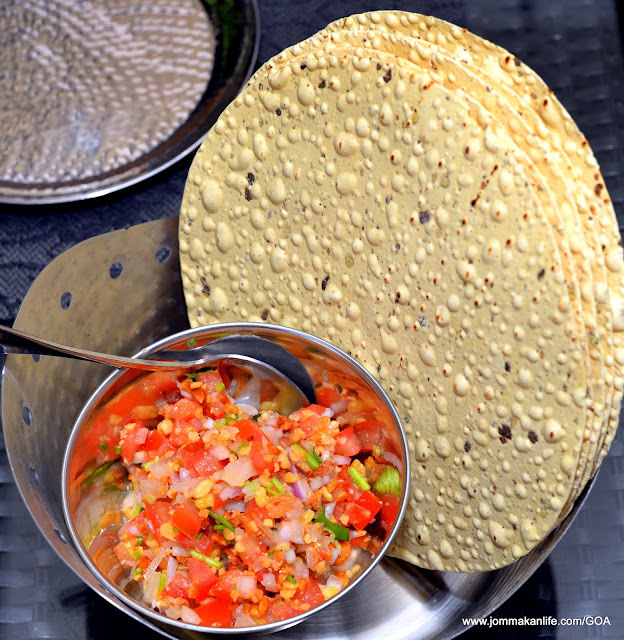 Right off the bat, the cracker of an opener, Papadum with Peanuts & Moong Dhal Salsa (RM10) hints at what lies in store at GOA by Hubba. 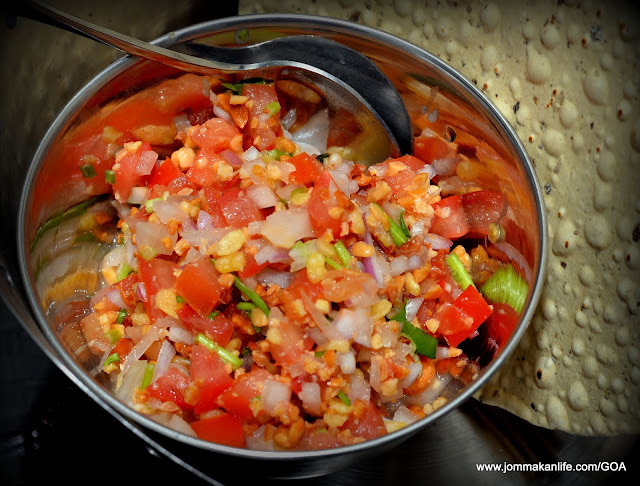 Heaped with the Goan-style salsa of diced tomatoes and onion, peanuts and lentils, the round, blistery discs of Indian crackers deliver a sampling of celebrity chef Sapna Anand's modern Indian delicacies. 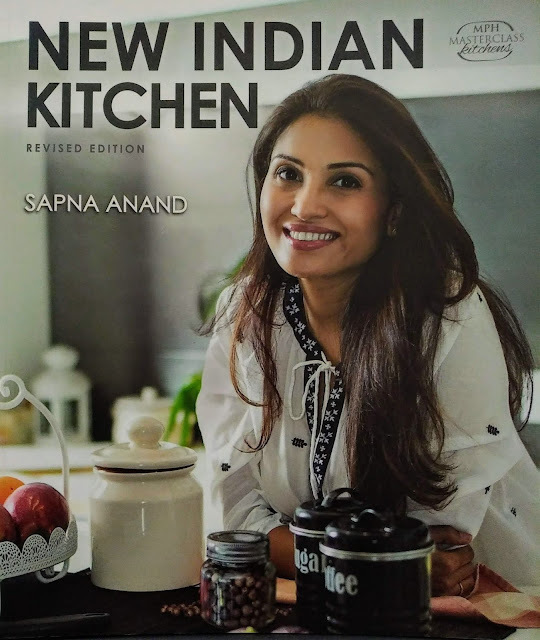 After tasting success with her Modern Indian Kitchen cookbook, Sapna has gone on to helm her own cooking show on the Asian Food Channel. 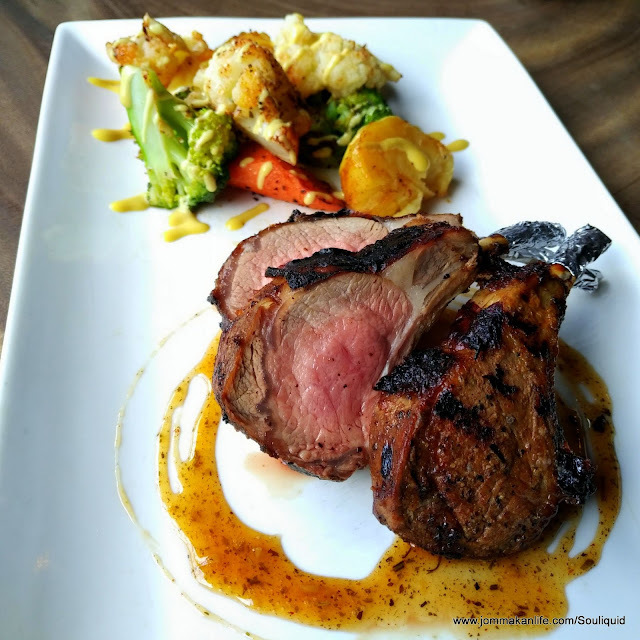 Serendipity soon led the celeb chef and cookbook author to collab with the Soul Society Group, resulting in GOA by Hubba, a restobar nestled within Tujo at the Ascott Kuala Lumpur. The rustic haven boasts bright floral arrangements and tables set with copper crockery, creating a convivial stage for Sapna’s curated menu to shine. 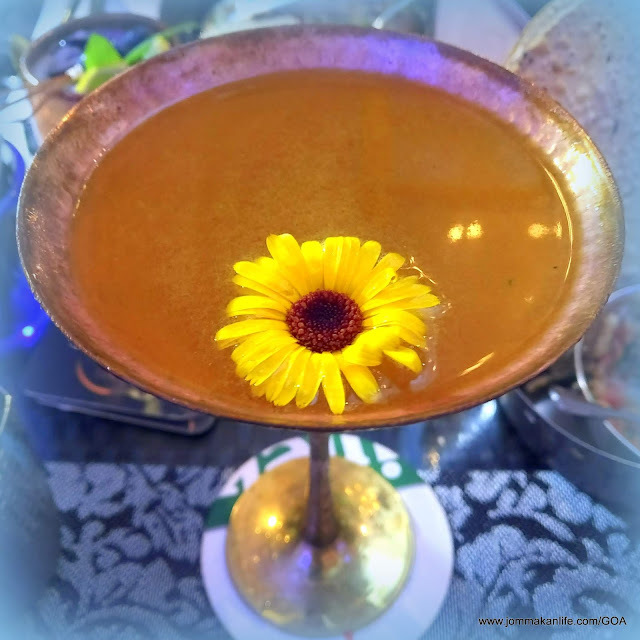 Even the cocktail list features inventive spice-infused concoctions, a bid to evoke the ebullient spirit of Goa, Sapna’s home turf. 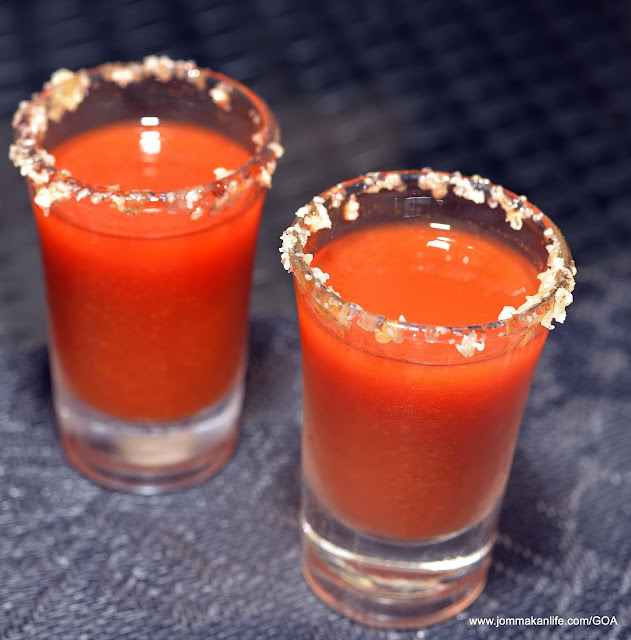 I’m thoroughly smitten by the tastebud-tickling Rasam Shooter (tray of 6, RM38) — raveworthy shots of tequila, rasam mix, lime juice, mint syrup, tabasco, honey, pop rocks and salt. Mama Manca (RM38) — a rockin’ blend of lemon juice, ginger syrup, turmeric syrup & a dash of cayenne pepper is a riotous slew of warm, robust flavours. Other bona fide faves include flavoured martinis and mojito variants. 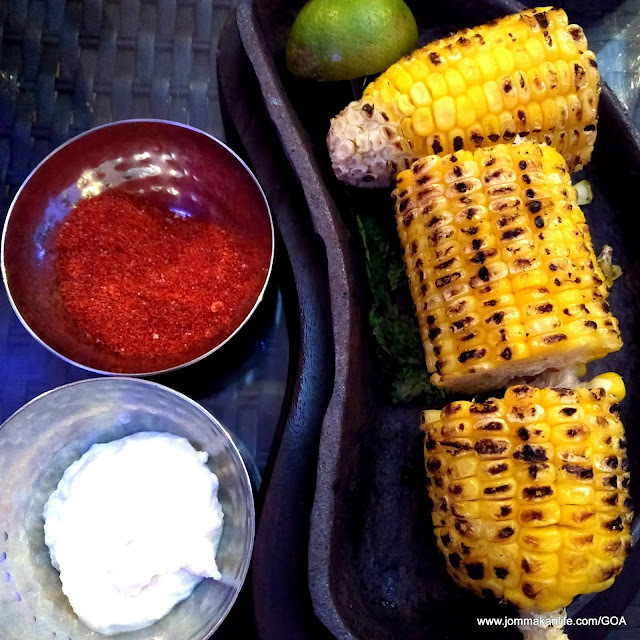 Mumbai’s famous Chowpatty Beach with its profusion of beachside snacks is the inspiration behind the faintly smoky-sweet Chowpatty Fire Roasted Corn (RM16). 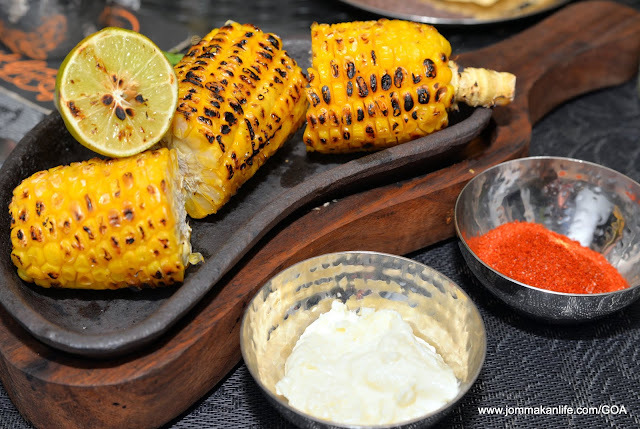 Daubs of herbed cheese dip spiked with chilli lime salt amp up the appeal of those slightly charred corn cob. 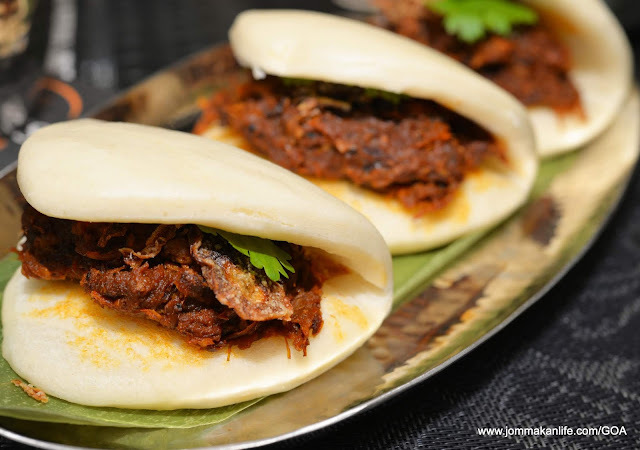 Pillow-soft Chinese steamed buns form a sensuous alliance with shredded, slow-cooked spiced mutton, fried shallot & coriander to create the distinctive Mutton Floss Mantou (RM26). 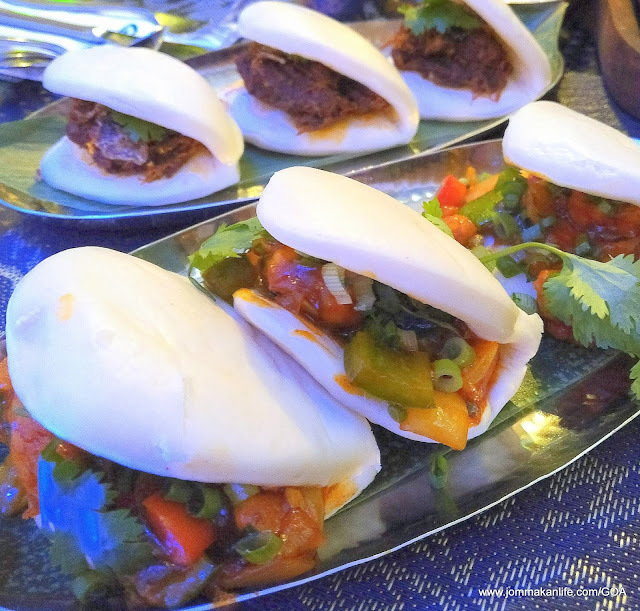 The Vegetarian Mantou (RM20) isn’t shabby either as the tasty spiced cauliflower, pepper, caramelised onion and coriander in similar buns grab its fair share of gustatory interest. 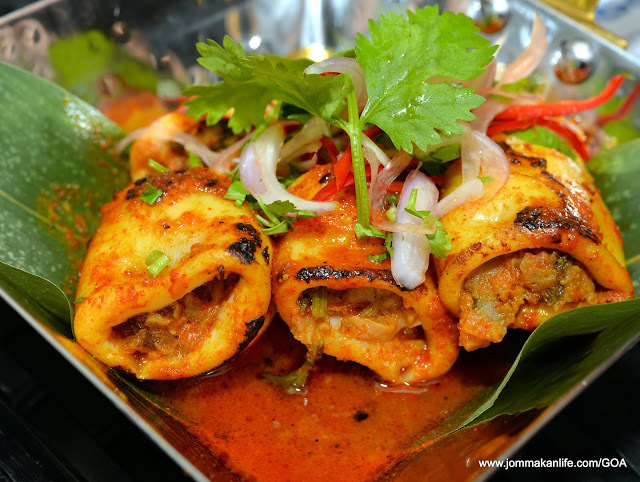 Hot on the heels come toothsome Goan Stuffed Squid (RM28) in which whole grilled squid, stuffed with minced prawn in housemade Goan spice paste, jostle for equal attention. Presented at the tableside with blazing fanfare, the Grilled Cauliflower with Smoked Sauce (RM28) is a literal conversation-stopper. 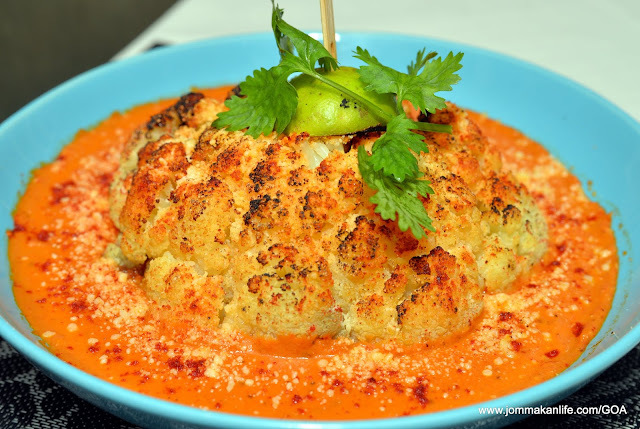 Once the server singes the mound of cauliflower, a tide of lush savouriness and fresh green sweetness floods our palate thanks to the mildly smoked fennel tomato sauce and a sprinkle of parmesan on top. 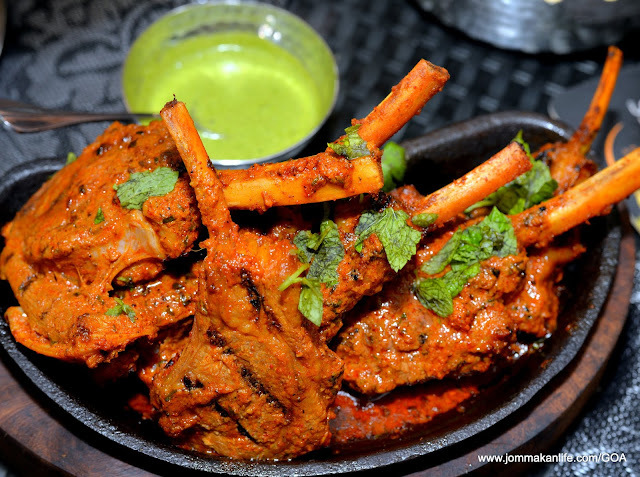 The sensorial overload continues when we sample the Kashmiri Lamb Chops (RM95). 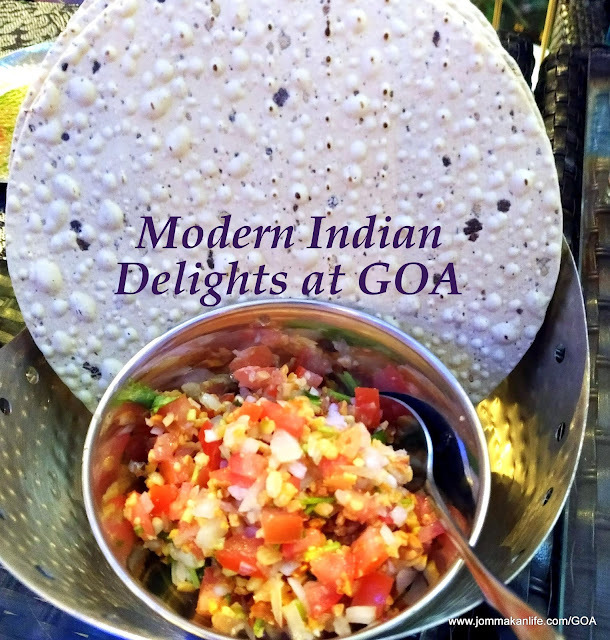 Redolent with the deep-seated accents of Goa’s housemade spice blend, the meaty cutlets are delectable when smeared with mint chutney. 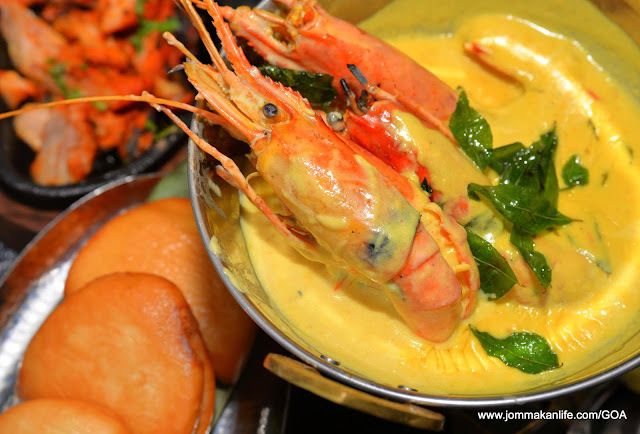 When the Garlic Butter Prawns (RM58) reach our table, the offering seems a tad underwhelming although we can’t fault the freshwater prawns in creamy garlic butter sauce. 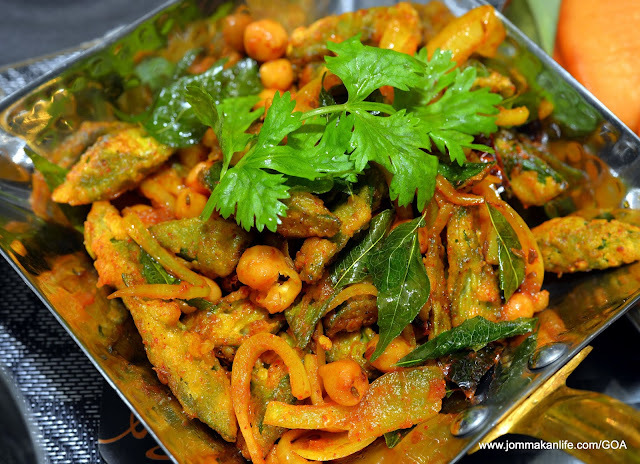 Surprisingly, the Stir-fried Bhindi (RM20) holds its own possibly because the jumble of crispy okra, chickpeas, onion, dried chilli and spices proffer more distinct textural variations. The complexities of Indian spice blends can never be underestimated, requiring years of practice and in-depth knowledge to master. 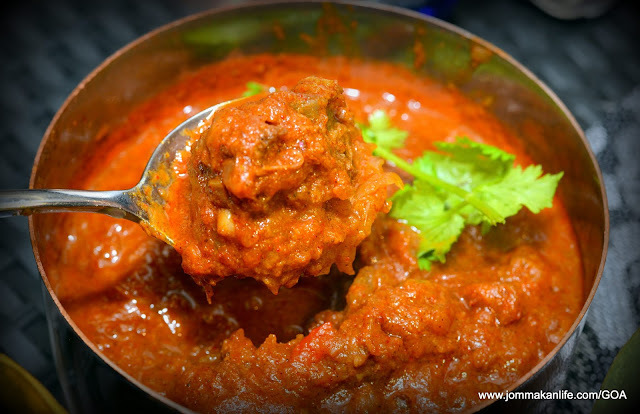 All we know is the Goan favourite of Beef Vindhalho (RM28) requires yet another multitude of traditional Vindhalho spices to spark off the dish’s cachet of big, stimulating flavours. 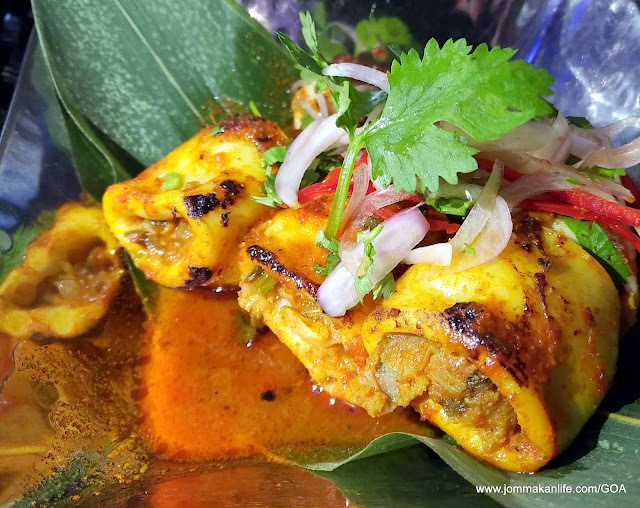 Likewise, an aromatic and punchy tandoori spice marinade left a deeply nuanced imprint in the Tandoori Chicken Chop (RM33). 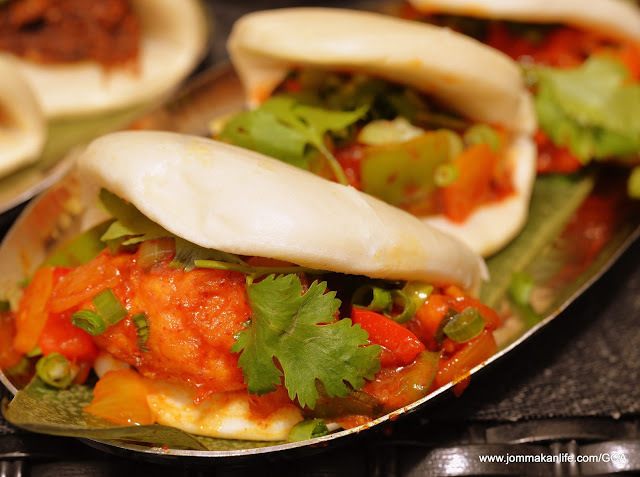 Served with mint chutney, every mouthful of the tender chook sets our tongues a-tingling with subtle hotness and zingy spiciness. 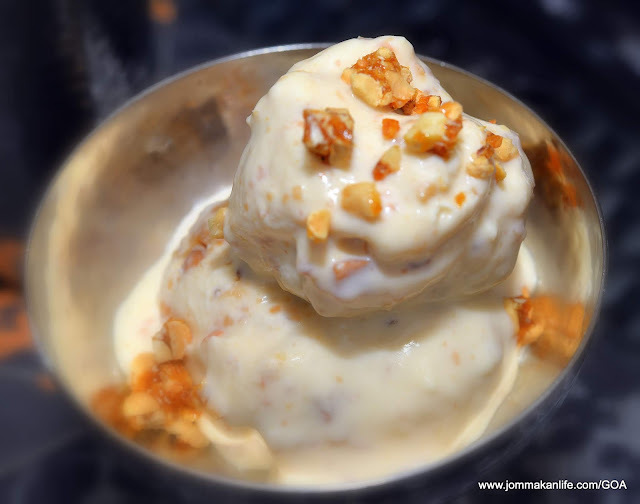 Our meal epilogue centres on Homemade Ice Cream (RM16) which runs the gamut from mango or rose to candied peanut & caramel. 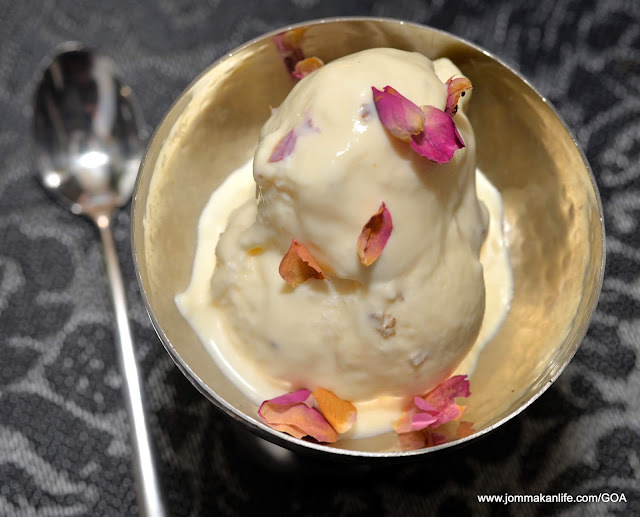 Top of the picks goes to the sweetly scented Rose Ice Cream. The Candied Peanut & Caramel is decent too although its allure pales slightly in comparison once you savour the floral flavour. 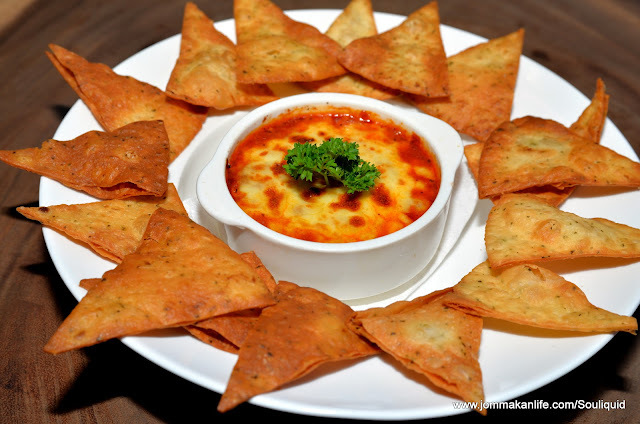 For reservations, call GOA by Hubba, tel: 017-786 7611. Address: 9, Ascott Kuala Lumpur, Jalan Pinang, Kuala Lumpur. 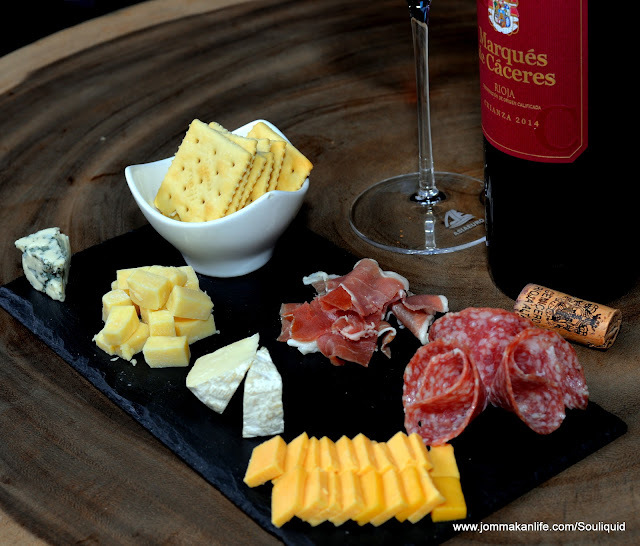 Open daily from 6pm to 1am.